Pamela Kay Macdonald is an aerialist and youth girls/women's speaker based in Los Angeles, California. 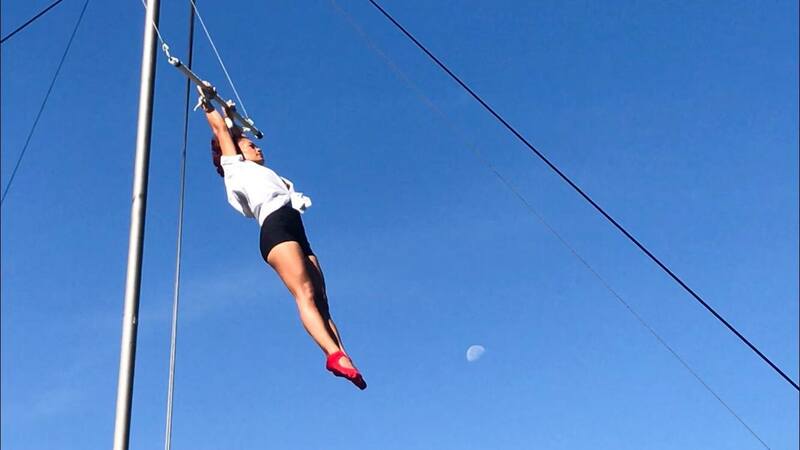 She consistently performs and trains in multiple disciplines within the aerial world of circus arts, particularly aerial hammock, aerial hoop, and flying trapeze. She offers solo featured acts, duo pieces, and ambience performances for private parties, film/videos, print, shows, and other events, as well as special aerial performance/speaking engagements. Pamela loves to share her great passion for the aerial arts through consistent training, performing, and assisting in teaching aerial dance and aerial yoga classes. 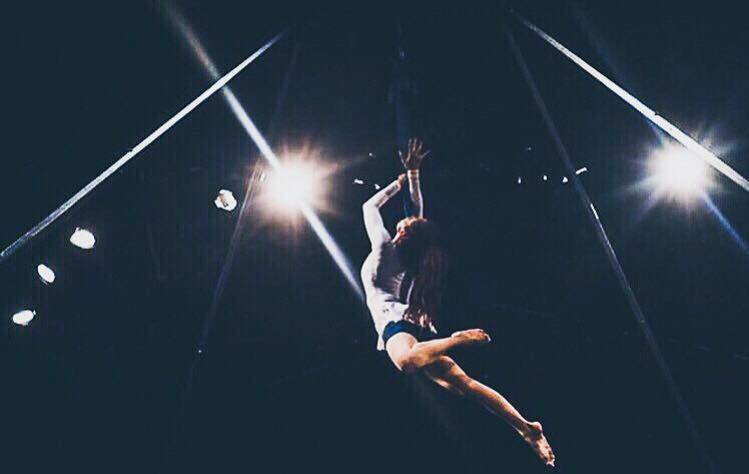 She is also an aerial performer with Rock Circus LA. The course of her life was changed when she, her husband, and their two children attended a performance by Circus Vargas in her hometown. Inspired by the amazing acrobats and feeling a great "pull" towards circus, she enrolled quickly in her first aerial dance class. She immediately realized that this great art form was one of the biggest missing pieces in her life’s puzzle, and finding it was nothing short of an answer to prayer. Diving deep into training, act creation, and performing, she and her circus coaches discovered she had “a great affinity for the air enhanced by physical strength in her small stature, innate aerial abilities, and dedicated passion.”* Aerial felt completely her and completely right. Behind the cirque work, Pamela is a wife and a mother of two. Her greatest motivation and joy is in her family, and it is with them where she feels most uplifted and grounded. After discovering the aerial arts, Pamela felt inspired to use this amazing art form in a unique way to try to help others. Knowing the joy arts can bring and the power of service, she decided to combine her experience in aerial performance with her background in public speaking and working with women and children. She created unique presentations in which she combines aerial dance routines along with motivational speaking to uplift audiences throughout schools, retreats, camps, fundraisers, non-profit organizations, and other events. These presentations were created with the goal to encourage young girls and women to pursue their talents, and to realize their potential to use those talents & strengths to strengthen others. Pamela has shared her unique aerial/motivational speaking acts to uplift hundreds of girls and women through girls & women’s conferences, universities, and other events. To learn more about Pamela coming to speak to your school, troop/group, or other event, check out the aerial speaking engagement page. Pamela is also a member of The Church of Jesus Christ of Latter-day Saints. 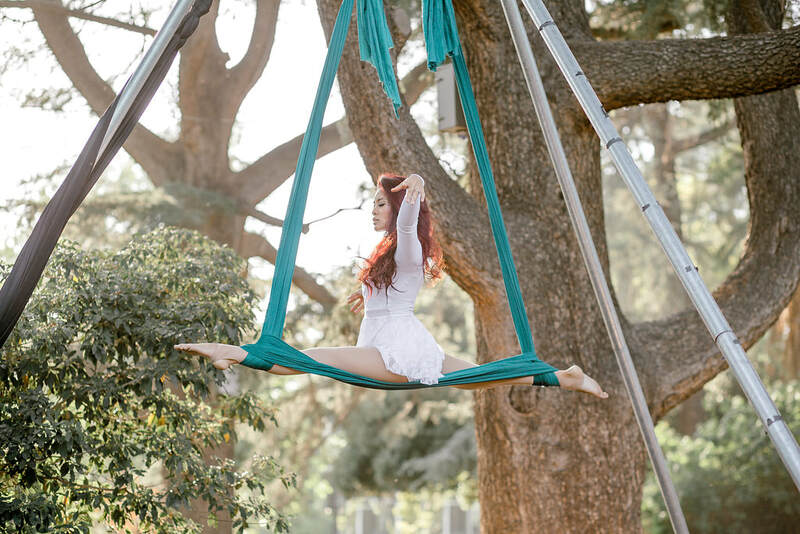 Known as “The Latter-day Saint Aerialist,” she loves sharing her aerial work and faith-filled presentations with Latter-day Saint youth and women through stakes, firesides, conferences, camps, and other events in California and throughout the country. Pamela has had the great privilege to be trained and inspired by top notch mentors and coaches including legendary trapeze artist Richie Gaona of The Flying Gaonas, Alex Gaona, Lisa-Marie Burnside (ElevAtion Aerial/Rock Circus LA), Amanda Ruth Ritchie (Zumanity/Michael Jackson “ONE”), Kimberely Simonetti (UP Flying Yoga), and Sarah Sporich and Lauren Stark of Cirque School Los Angeles/Troupe Vertigo. Behind her cirque work, Pamela is an ACE certified trainer and a registered nurse with a Bachelors Degree in the Science of Nursing. As a trainer, she assists in teaching aerial dance and aerial yoga classes, and has taught women’s bootcamps and fitness classes throughout Los Angeles. As a nurse, she specialized in the obstetrics field, specifically working with mothers and babies in Labor & Delivery/Postpartum. In 2014, Pamela and her husband co-founded Project Lead Kindly, a non-profit organization that assisted women and children in need. Through this organization, Pamela spoke through various workshops, presentations, and events, motivating, uplifting, and serving women and youth throughout southern California.